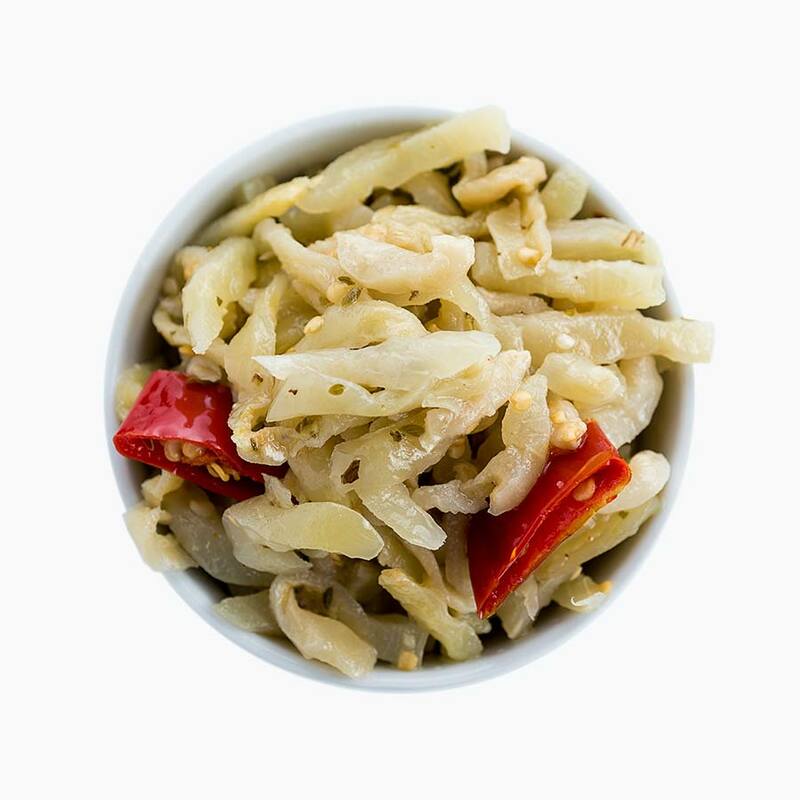 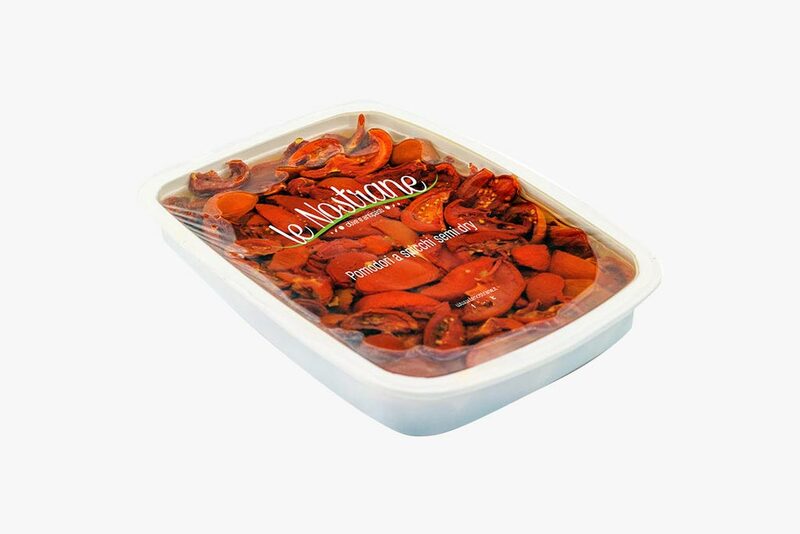 A versaile product, innovative and appetizing that brings all the heat of summer to the table. 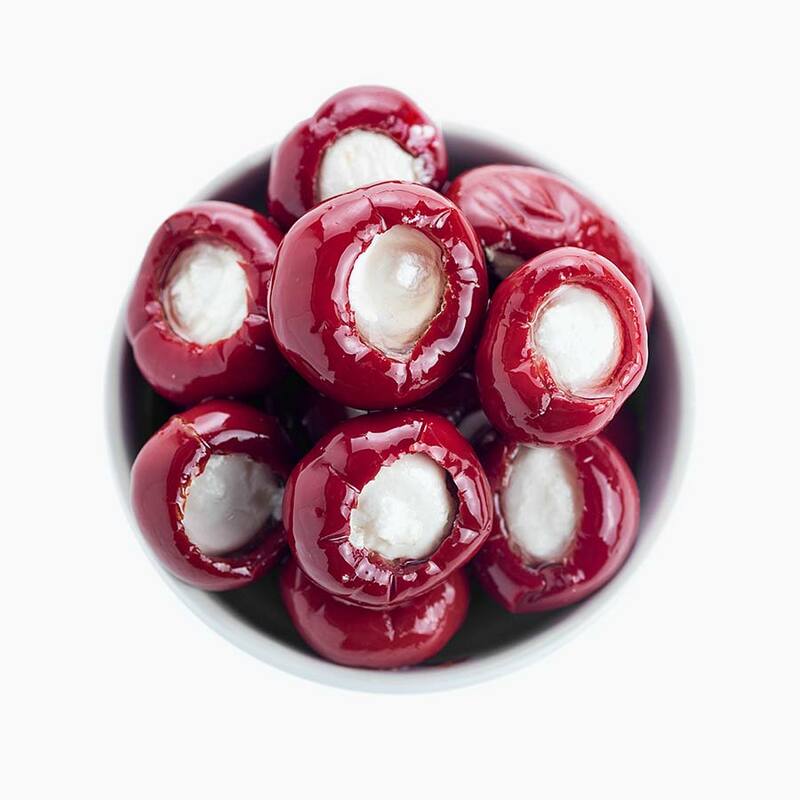 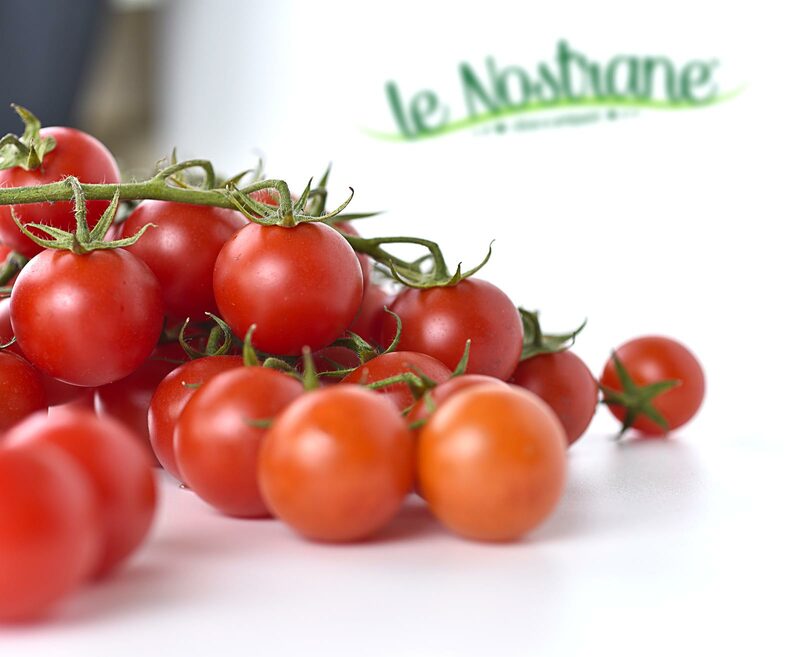 Only the best cherry tomatoes that have reached perfect ripeness, partially dried at low temperature and flavored, become the Ciliegini. 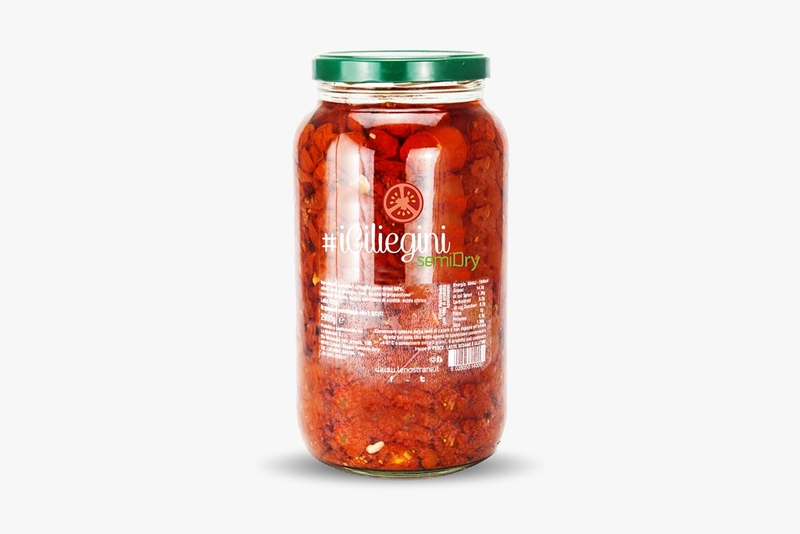 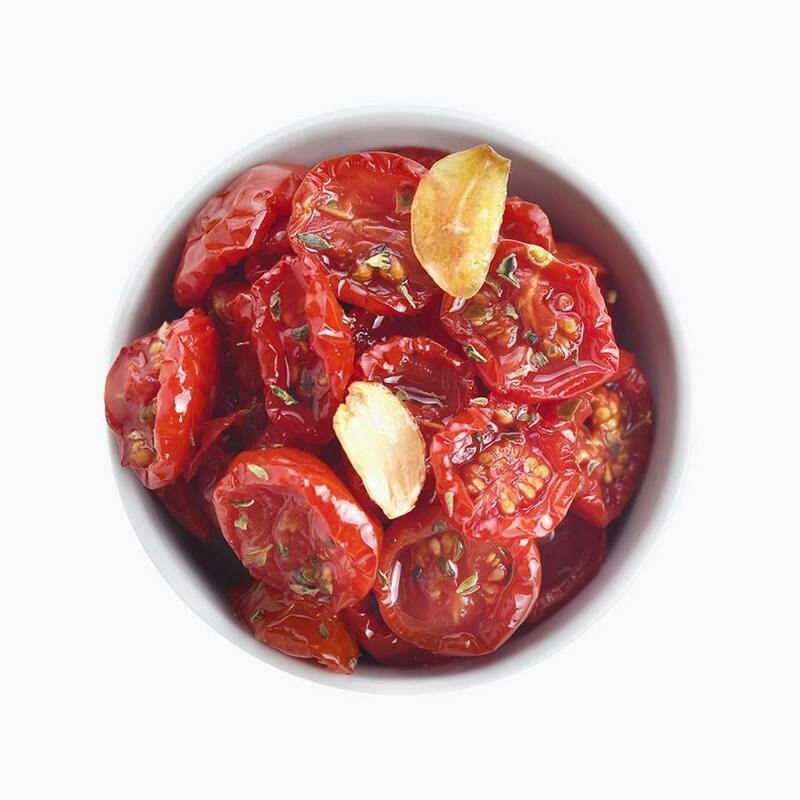 An innovative process inspired by traditional processing methods in which the best, carefully selected tomatoes, cut in half, are partially dehydrated in the oven for at least 9 hours at a very low temperature. 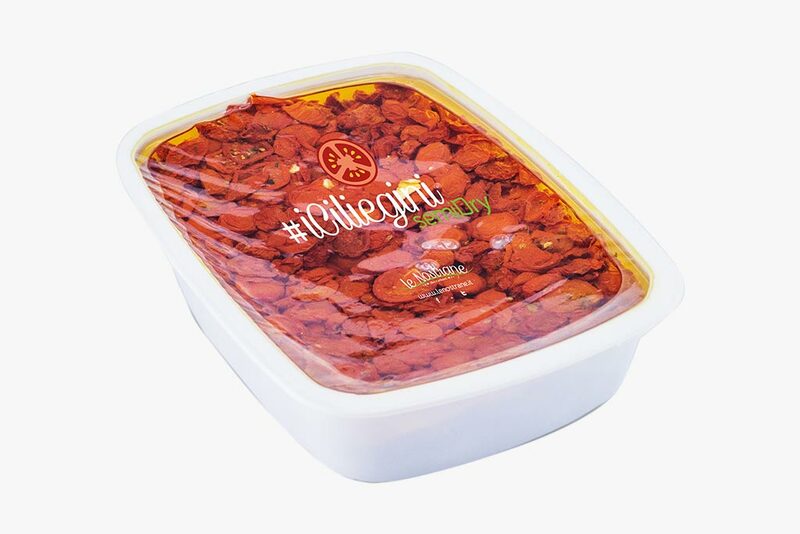 At the end of this phase, the product will have lost 70% of its water, preserving only the best part: its natural intensity of taste and its sweetness. 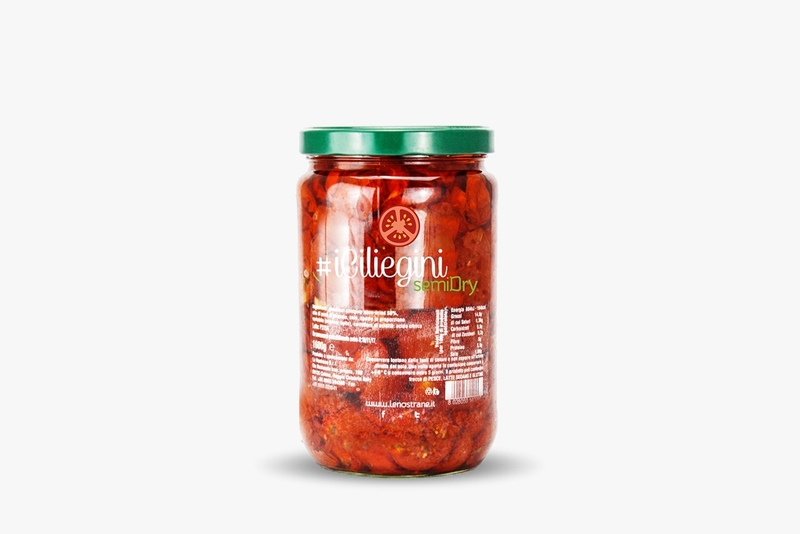 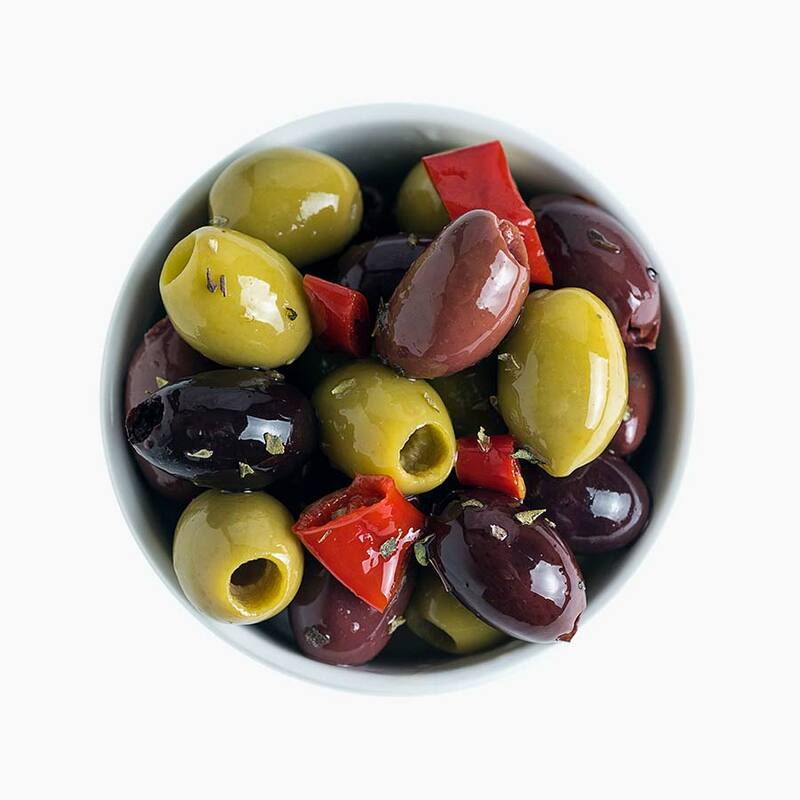 Excellent to the natural, on bruschetta or pizza, combined with cheese and mozzarella, in mixed salads, or in cooking as a condiment for pasta and rice, to flavor the bread and homemade buns, stuffed with savory pies, in addition to all meat or fish preparations.